Born on April 20, 1893 in Barcelona, Joan Miró began his studies in art early, at the age of fourteen, at the art academy of Barcelona. In 1917 he had his first solo show, the same year he met both Pablo Picasso and Francis Picabia. Although Miró’s early work was influenced by several movements of the time, including Fauvism, Cubism, and Dadaism, he became most well known among the Surrealists, whose first manifesto he signed in 1924. Throughout his career, despite occasional returns to figuration or full abstraction, Miró remained consistently true to the core tenet of Surrealism: working with the intention of liberating the creative powers of the unconscious from the constraints of logic and reason. However, although André Breton, author of the Surrealist manifesto, wrote that Miró was “probably the most Surrealistic of us all,” Miró’s work still stood apart; he omitted the accessible, representational elements present in much of the work by other Surrealists. There is a charming sense of playfulness throughout much of Miró’s oeuvre, though the onset of the Spanish Civil War inspired more solemn and melancholic motifs in his work. The war eventually caused Miró to relocate to Paris in 1936 but by 1940 he was forced to return to Spain to escape the German occupation of France. It was during this period that he began to achieve international acclaim, and a large retrospective at the Museum of Modern Art in New York in 1941 solidified his reputation within the art world. Miró’s first visit to the US in 1947 marks the beginning of his desire to communicate with a wider audience, specifically by working in public spaces. This ambition furthered his acclaim; for instance, two massive, ceramic murals for the UNESCO headquarters in Paris, representative also of his late-career interest in ceramics, won him a Guggenheim International Award in 1958. In 1975, Miró opened to the public the Fundació Joan Miró, eight years before his death in December 1983. 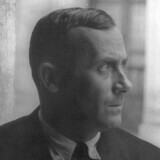 His works are in collections around the world and in his native Spain including Fundació Joan Miró, Barcelona, the Museu d’Art Contemporani de Barcelona, the Museo Nacional Centro de Arte Reina Sofia, Madrid, and the Fundación MAPFRE, Madrid. Because of Miró’s art historical significance, and a consistent institutional presence, his market has been reliably strong; according to Sotheby’s Mei Moses, the average compound annual return for Joan Miró was 8.0%, with an 88.7% of works by Miró increasing in value.